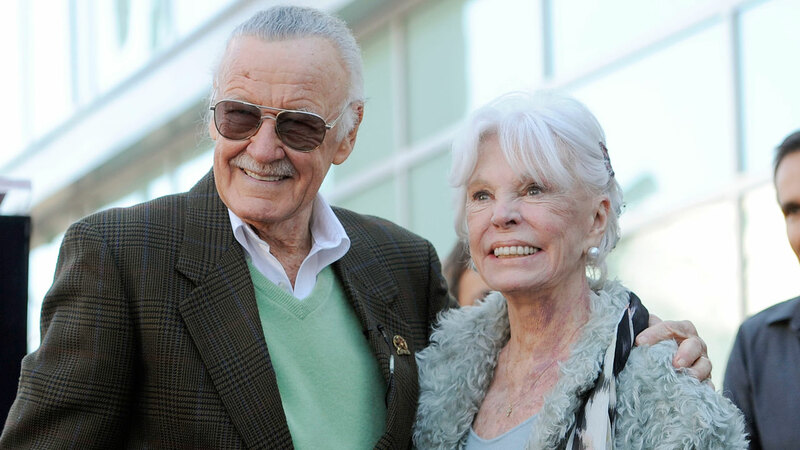 LOS ANGELES -- Joan Lee, the wife of Marvel comic book legend Stan Lee, died Thursday at the age of 93, a spokesperson for the family confirmed. The spokesperson said she died surrounded by her family. "The family ask that you please give them time to grieve and respect their privacy during this difficult time," the statement said. Stan and Joan Lee spent 69 years together. They were married in December 1947 and had two children, but one died three days after birth in 1953. Stan Lee, 94, co-created Marvel Comics and the company issued a statement regarding Joan's passing. "We are so saddened to hear about the loss of Joan Lee. We lost a member of the Marvel family today and our thoughts and prayers go out to Stan and his daughter Joan in this difficult time." Stan Lee is scheduled to have a hand and footprint ceremony at the TCL Chinese Theatre on July 18. Kevin Smith and Kevin Feige are expected to speak.